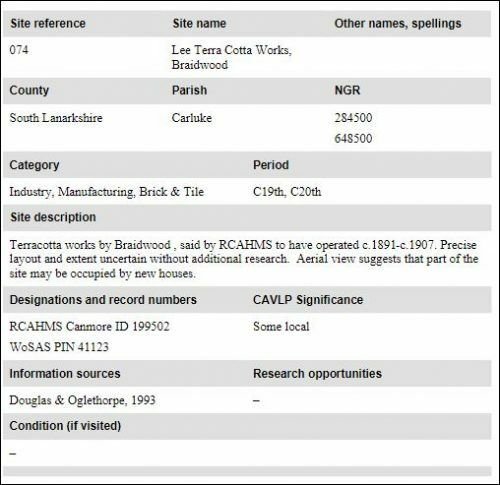 Home / Scottish Brick and Tile Industry / Lee Terracotta Works, Braidwood, Carluke, South Lanarkshire. 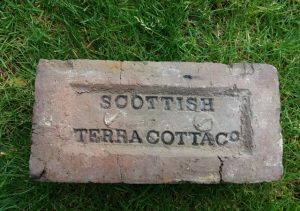 Lee Terracotta Works, Braidwood, Carluke, South Lanarkshire. Lee Terracotta Works, Braidwood, Carluke, Lanarkshire. 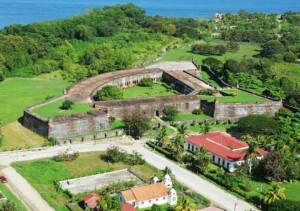 The Lee works faced difficulty at the outset of operations and were seemingly short lived. They were operated by the Lee Terracotta Company or the Scottish Terracotta Company (sometimes the Scottish Terracotta and Metallic Brick Co). Mark Hurll transported raw material from Carluke, and the Lee Terracotta Works were erected by John Ferguson and John Agnew who also operated the Omoa Fireclay Co..
1896 – The Lee Terracotta Works (Louis Nerou, Manager) Braidwood Carluke. 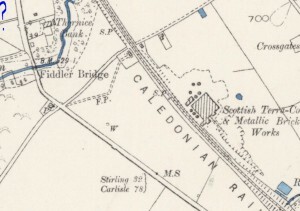 Below – 2015 – Study into the historical development of the Clyde and Avon Landscapes. 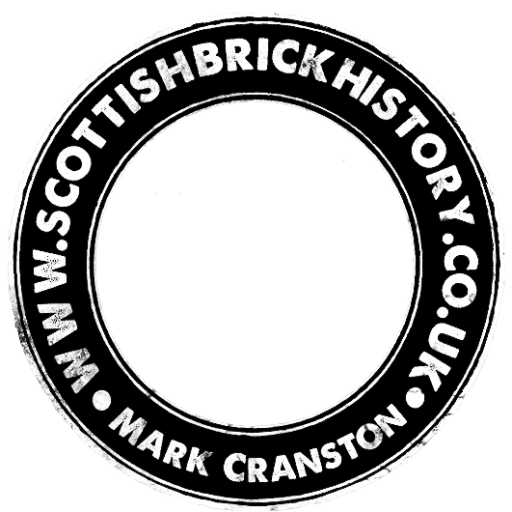 Previous Article Larkhall Brick Works, Larkhall, South Lanarkshire. Scottish Terra Cotta and Metallic Brick Co Ld Braidwood. Scottish Terracotta & Metallic Brick and Tile Works, Braidwood, Carluke, South Lanarkshire. Found in Carluke Note the bottom line of the mark is level. On my other similar examples it is on a slight arc. 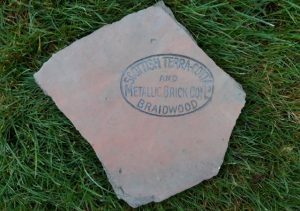 Lee Terra Cotta Works, Braidwood, Carluke, Lanarkshire. . . . Below – the same stamp on a shaped brick. 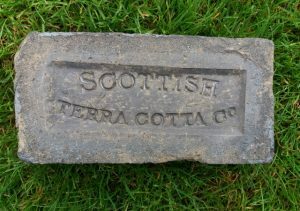 Found by Michael Fallone in the Glasgow area. .
Found at Galashiels by Colin Campbell Lee Terracotta Works, Braidwood, Carluke, Lanarkshire. . . . .
Found Granton Firth of Forth. John Agnew, Brick Manufacturer, Carluke. 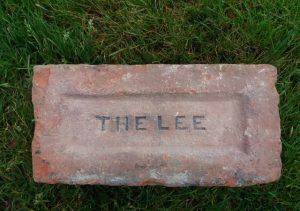 . . . .
Found Carluke Lee Terra Cotta Works, Braidwood, Carluke, Lanarkshire. 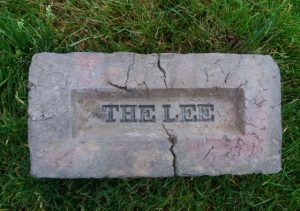 . . . . Below – the same mark but on an oversized brick. Below – the same mark but on a bull nosed brick. Found in the Edinburgh area by Joan Faithfull. 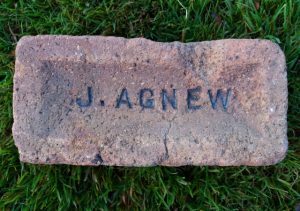 John Agnew, brick manufacturer, Carluke. Note the reversed ‘N’. . . . Below – Photographed at Seafield, Edinburgh but inadvertently left in situ …grrrr!